North Korean media on Sunday slammed South Korea for supporting the UN resolution on North Korean human rights, accusing Seoul of duplicity. The UN passed the resolution at a Dec. 17 meeting of the UN General Assembly. 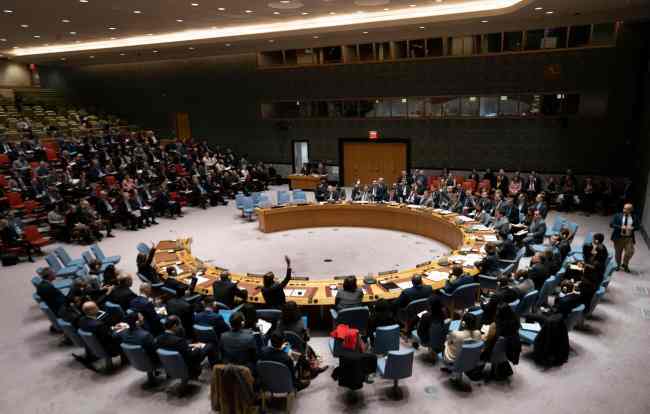 In the latest resolution, the 14th to be passed in as many consecutive years, the UN criticized the “long-standing and ongoing systematic, widespread and gross violations of human rights” by the North. On Sunday, Uriminzokkiri, the North’s propaganda website, condemned the resolution and Seoul’s participation in its passage, in an editorial. In the article, the website said that Seoul was collaborating with a “foreign scheme” to pressure North Korea while talking of improving relations, and that Seoul must consider the consequences for inter-Korean relations. The website also claimed the resolution was the result of fabrication by the US, and was aimed at “widening and strengthening the pressure of sanctions” against the regime, accusing the UN of having become a tool of the US. Pyongyang’s use of online media, rather than official bodies such as Rodong Sinmun or a statement from a government organization, is thought to be a ploy to raise pressure on Seoul while avoiding direct friction between the two Koreas. Sunday’s editorial followed an earlier article carried by another propaganda outlet, Maeari, on Friday. The article said South Korean officials should practice caution if Seoul values improving inter-Korean ties. Saying that South Korean authorities were working with “the US and its supporters in anachronistic human rights farce against the republic (North Korea),” the article said such actions could lead to “difficulties,” implying negative developments in inter-Korean relations. After the annual passage of the resolution, Seoul’s Foreign Ministry said it supported the resolution from the basic position of making joint efforts with the international community for “substantive improvement” in the human rights of North Korean people.